Making sense of scents: Do essential oils really work? You love how your temples tingle when you wash your hair with Lavender Mint Daily shampoo and the minty freshness after brushing your teeth. Remember that cooling sensation? It’s the constituents in Peppermint telling your body it’s cold no matter the temp outside. And when we say constituents, we’re not talking politics—more on that later. If you love essential oils and aren’t afraid to let the world know, chances are friends have asked questions like “Are essential oils a hoax?” and “Do essential oils work?” You can answer “no” to the first question and “yes” to the second with confidence. Peppermint is just one example that essential oils have some real power, but that power goes far beyond a frosty feeling during a massage. You’ve probably heard others talking about how essential oils work for them or experienced them working yourself, but you may not know how or why. Keep reading for all the answers! For centuries, cultures around the world have turned to essential oils in their ongoing quest for wellness. Ancient Egyptians, Romans, Persians, and Germans used essential oils for things like elevating spiritual and religious practices, enhancing beauty routines, adding flavor to foods, and supporting overall wellness. But is there any science to support those benefits? Yes! Grab your virtual lab coat as we get all scientific. If you want to adapt age-old practices for modern-day use, you need to do some serious research into essential oils. At Young Living’s D. Gary Young Research Institute, Chief Science Officer Mike Buch oversees industry-leading analytical laboratories where scientists test the purity and potency of our oils, as well as dive into research about the effects and benefits of these plant-based powerhouses. The Institute’s research has created an ever-expanding library of substantiated essential oil claims. Last year the Institute partnered with some of the world’s leading research institutes to conduct over 50 studies to ensure our products do what we claim they do. Throw in a partnership with the Monell Center, where world-renowned scientists research the science of taste and smell, and we’ve got serious research in spades. Once you understand the science, you can make the most of the oils—and feel confident doing so. Keep reading to learn what makes up an essential oil and how these substances interact with the senses. Let’s revisit our BFF Peppermint. Its constituents—the components that make up the oil—include things like menthol*, menthone, and menthyl acetate. Our EO BFF wouldn’t act or work like Peppermint without them. The same goes for all essential oils. Each oil has a unique combination of constituents, and every combination lends itself to a different use. Do the math and you’ll quickly discover a crazy amount of benefits. Constituents have some mad skills, and we love taking advantage of them. We pop cough drops when our throats are sore and apply over-the-counter pain relief creams to overworked muscles. Both products provide a cooling sensation due to menthol, the main constituent in Peppermint. 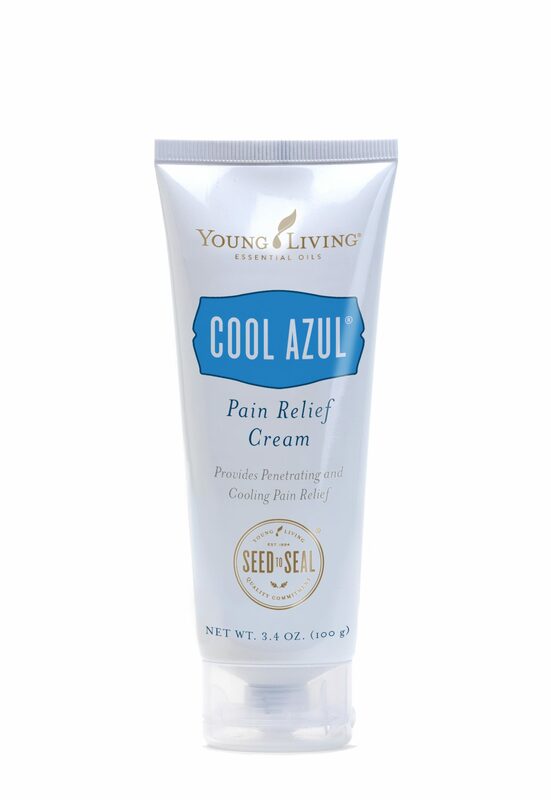 Watch this quick video to discover the science behind Cool Azul® Pain Relief Cream and the constituents that give it its super-cooling powers. First constituents and now receptors—we’re getting a little Bill Nye, but we promise it’s worth it. Understanding how essential oils interact with your body is empowering! Without receptors, you wouldn’t sense those super-cooling powers. Receptors are proteins that specifically bind with different types of molecules to facilitate chemical communication within our bodies. You have millions of receptors on your body, but we want to focus on your sensory and thermoreceptors, because they’re the ones involved in touch, taste, and smell. When compounds in essential oils bind to receptors, they trigger specific effects in our bodies depending on the oil’s constituents and how you’ve applied it—topically, aromatically, or internally. Our infographic is a great way to learn more about receptors and where to apply essential oils on your body. Of all the senses, essential oils affect your sense of smell the most. In true science-guy style, let’s dive a little deeper and find out if the nose really knows. According to a study published by the National Center for Biotechnology Information, the sense of smell is one of the first senses humans developed. From the beginning, humans have used their olfactory sense—science’s fancy way of saying sense of smell—to identify food, potential mating partners, dangers, enemies, and more. For most living creatures, smell is a key way we interact with our environment. So how many receptors are dedicated to the olfactory sense? We thought you’d never ask. You’ll find a whopping 100 million or more receptors packed into an area about 2.5 square centimeters! No wonder essential oils are crazy good at stirring certain emotions or specific memories—you have all those olfactory receptors just waiting to send signals to your brain! Absolutely—if you’re using them correctly. Essential oils offer a wide variety of uses and benefits; but to get the most out of them, you need to use them correctly. Each oil comes from a unique plant, which means unique constituents and properties, so they all have different uses. Motivation: The aroma of Brain Power promotes a focused, stimulating environment. Digestion: DiGize Vitality cleanses and soothes the digestive system. Cleaning: Lemon helps remove adhesives. Air purification: The scent of Purification® purifies the air to eliminate odors. Relaxation: Diffusing Frankincense promotes feelings of relaxation and tranquility. Hair care: Geranium makes hair look radiant and healthy. Moisturization: Cedarwood gives skin a youthful-looking glow. Blemishes: Tea Tree helps diminish the appearance of blemishes. Aging skin: Helichrysum reduces the appearance and texture of uneven skin tone. Skin irritation: Lavender cleanses and soothes minor skin irritation. Head tension: Peppermint helps soothe occasional head tension when applied to the temples with massage. Massage: Cool Azul soothes tired muscles when used in massage. Essential oils do all of this and smell amazing. Diffusing oils in your home, office, or car creates amazing aromas to fit virtually any mood. If you like diffusing blends, try these seasonal blends or masculine blends. You can also create custom blends—the possibilities are endless! The short answer is yes. Essential oils are safe if you respect these potent products and the plants they come from. They’re powerful tools, and like any tool, be sure to follow label instructions and start slow with any new oil. Some essential oils may cause photosensitivity if you catch some rays after applying the oils to your skin. Make sure to avoid direct sun exposure for up to 72 hours after using these oils. Additionally, a few oils are known as “hot” oils, which means they can leave a warming or cooling sensation when applied to your skin that may feel intense. Peppermint is one example of a hot oil; Cinnamon Bark, Black Pepper, and Oregano are others. When using these oils, dilute them with a carrier oil before applying to your skin and watch for a reaction. If no reaction occurs, you’re good to go! Bottom line—start with small doses of an essential oil and build from there. Still skeptical about essential oils? The best way to find out if they really work is to try them. We should warn you—once you try them, you’ll absolutely love them. There’s a reason we have over 6 million members! To read more about the power packed into those little amber bottles, check out our full line of essential oil products. Still need to meet your recommended daily allowance (RDA) of essential oil info? Check out our essential oils 101 guide and discover over a dozen creative ways to use oils. The post Making sense of scents: Do essential oils really work? appeared first on Young Living Blog. It’s no secret: The scent of an essential oil can create waves of nostalgia or help you tap into emotions, and when some essential oils are taken internally, they can even improve overall health and wellness! With so many essential oils available, how do you choose which ones to add to your collection? While we’d love having every essential oil within arm’s reach, there are some you should always have on hand! See why these oils made our top 10 lineup! People swoon over Lavender essential oil—and for good reason. Our top-selling oil is a standout in many Young Living products, including Lavender Calming Bath Bombs, Lavender Lip Balm, and Lavender Foaming Hand Soap. While this oil plays a supporting role in many YL favorites, it also shines as a solo artist with its soft, welcoming aroma. Tailor your signature scent. A fresh floral aroma adds a feminine touch to unscented lotion. Capture a field in full bloom when you pair Lavender with Geranium essential oil in your personal perfume. Create a refreshing room spray. Mix 1 cup of distilled water and 10 drops of Lavender in a glass spray bottle. Spritz the air, blankets, and carpets for a sweet springtime scent. Soothe the irritations. Soaked up too much sun? Boost your skin’s moisture by mixing Lavender oil with aloe vera gel. Add a little spice while you keep everything nice—and clean—with Thieves essential oil blend. This powerhouse transforms many Young Living products, including cleaners, wipes, and hand purifiers! All ages crave the scent of this essential oil blend because of its familiar aroma; so when you’re planning your next cleaning extravaganza, make it a family affair. Refresh musty towels. Transform your sun-soaked beach towel into a cozy and clean one by adding 5 drops of Thieves to a load of laundry and detergent. Take Thieves on the go! Invite the rich cinnamon scent to any occasion with Thieves Roll-On! Enjoy a breath of fresh air. Diffuse Thieves essential oil blend for a warm, clean aroma. Anytime is the right time to get peppy with Peppermint essential oil. Include this cheerleader oil in your collection for its fresh, uplifting features. It’s especially handy when midday slumps show up! Simply pop the bottle lid and breathe in the crisp, minty scent. Soak in Epsom salts. Mix 3 drops of Peppermint, 4 drops of Eucalyptus Blue, and 1 cup of Epsom salt and add them to the tub for an invigorating, luxurious bath. Tackle head tension. Dilute Peppermint with a few drops of carrier oil and apply to your neck, temples, and jawline for some relief. Freshen your hair oil. Add 2 drops of Peppermint to a small amount of hair oil and give your scalp a stimulating 2-minute massage. Finding the sunny side in every situation is easy when you have Lemon essential oil because it brightens everything it touches. Its cheery citrus vibes coupled with versatile uses makes this oil worthy to be in our top 10! Get rid of gunk. Lemon essential oil erases sticky residue from stickers and gum when applied directly. Up the ante on your nighttime skin care routine. Add a drop of Lemon to your night cream* for a bright complexion. Spruce up your trash can. Tired of stale smells? Put a few drops of Lemon on a cotton ball and stash it in your garbage can when empty. *Because citrus oil can cause photosensitivity, avoid applying Lemon to exposed skin before spending time outside. Let’s clear the air—literally—with Purification. Take out offending odors with this blend that features Citronella, Lemongrass, Rosemary, Tea Tree, and other lovely oils. 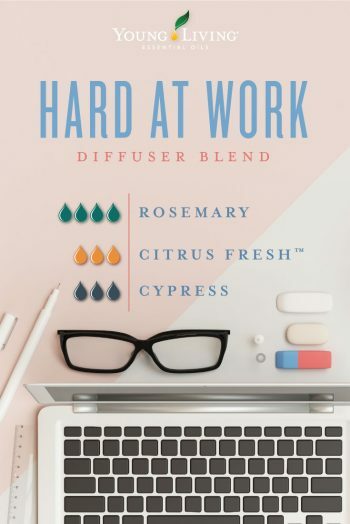 This synergized blend of herbaceous, sweet, clean, and refreshing scents can be used everywhere! Cuddle in fresh linens. Add a few drops to your washing machine before doing a load of laundry for a clean aroma. Dispose of bad kitchen odors. After running your garbage disposal, add 3-4 drops of Purification for a sweet, fresh scent. Freshen your bathroom space. Put 2 drops of Purification inside the cardboard of the toilet paper roll for a gentle, pleasant aroma. Recruit R.C. essential oil blend as your next fitness buddy! It’s featured in our Active & Fit Kit and found in many gym bags because of its feel-good features. It includes chilly, earthy oils such as Spruce, Cypress, Eucalyptus Globulus, and Eucalyptus Radiata. Create a chest rub. Add 2 drops of R.C. and a dime-sized amount of coconut oil and gently massage on your chest and take deep breaths. Break a cool sweat. Invigorate your workout session by diffusing this brisk oil. Soothe sore muscles. Add a few drops of R.C. to V-6 Vegetable Oil Complex and treat your body to a much-needed massage after a vigorous workout. Is a comfy night by the fireplace sipping hot cocoa or herbal tea your idea of a pleasant time? If yes, then you’ll go crazy for Cedarwood! This deliciously sweet and woodsy aroma makes for a cozy companion during a night in! Loved by members, you can find Cedarwood essential oil canoodling with other oils in many blends, including Joy ! Sweeten your skin care. Add Cedarwood to your body lotion for a sweet, woodsy aroma and a boost of moisture. Shine your luscious locks. Mix 3 drops in your conditioner every day and finger brush through your silky hair. Dream with a comforting aroma. Put a drop or two on a tissue and place it inside your pillowcase for warm-scented slumber. Start or end your day with Peace & Calming essential oil blend. This nurturing blend features Ylang Ylang, Orange, Tangerine, Patchouli, and Blue Tansy. We love this oil so much, we even have a Peace & Calming II ! Diffuse the chaos. Use it in your Car Vent Diffuser to help you chill out during commutes and carpools. Keep calm around. Wear it as a personal fragrance on your neck and wrists. Treat your feet. Add ¼ cup of Epsom salt and 2 drops of Peace & Calming to hot water for a soothing foot soak before bed. When tense moments surface, you’ll want Stress Away nearby. This blend was created by Young Living Founder D. Gary Young and is the only YL blend to feature Vanilla. Stress Away also includes Lime, Copaiba, Cedarwood, and Lavender, making it a top oil to use every day. Take a load off. Massage it into your feet with the help of V-6 Vegetable Oil Complex after a tiring day. Scrub away the stress. Get crafty with your salt scrub by adding 10-15 drops of Stress Away to 1 cup of sea salt and ½ cup of coconut oil. Slip away for some R&R. Place a Stress Away Relaxing Bath Bomb in your tub for a restorative soak. Our top 10 oils wouldn’t be complete without Frankincense. This mentor of all oils is known for its long history and was often used in spiritual and religious traditions. Its distinctive mix of balsamic and woodsy scents can round out your essential oil collection of citrus and floral aromas. Om with oil. Savor the quiet moment by rubbing a drop on your chest before your daily yoga or meditation. Make your own face mask. Moisturize dry skin with a mask made of 1 tablespoon honey, 1 tablespoon coconut oil, and 3 drops Frankincense. Wear your beard with confidence. Make a beard oil using 2 ounces of carrier oil and 10 drops each of Frankincense, Myrrh, and Sage. Dive into the realm of other essential oil benefits and features! Check out the best essential oils to help you through the week and our essential oils cheat sheet! Which oils make your top 10 list? Tell us in the comments! The post Top 10 must-have oils! appeared first on Young Living Blog. If you start singing, “parsley, sage, rosemary, and thyme” whenever we mention rosemary, you should spend more time with Rosemary essential oil. Steam-distilled from the needle-like leaves of the Rosmarinus officinalis plant, Rosemary oil brings a fresh, woodsy aroma to everything it touches. But this hardworking herb is more than an earthy scent. What do you use Rosemary oil for? The better question is what don’t you use Rosemary for? Infuse everything from your hair care routine to your homemade cleaners with this oil’s complex, robust, energizing aroma. 1. Make a hydrating hair mask. Warm 2 tablespoons coconut oil and 1 tablespoon honey for about 15 seconds in the microwave. Add 3 drops Rosemary oil and mix together. Apply to the hair shaft, especially the ends, put on a shower cap, and let it sit for 30 minutes. Rinse out the mask, then wash and dry hair as usual. 2. Turn the shower into a spa. Add 1 drop of Rosemary essential oil to the center of an Easy Breeze Awakening Shower Steamer for an extra-invigorating showertime boost! Make our DIY head tension roll-on using Peppermint essential oil, Rosemary essential oil, and M-Grain essential oil blend. 4. Give bugs the brush-off. Win the war on bugs while enjoying the great outdoors. Use our Insect Repellent—infused with Rosemary, Citronella, Lemongrass, and other essential oils—to naturally repel bugs. It smells good to people, but not so much to pests. 5. Whip up a savory snack. Add Rosemary Vitality to hummus and pair with carrots, sliced bell peppers, or pita chips for a light, flavorful snack. 6. Take a breather from blemishes. Is Rosemary oil good for skin? As one of the ingredients in our Maximum Strength Acne Treatment, Rosemary works with Frankincense, Tea Tree, Manuka, and other oils to fight blemishes. 7. Show your scalp some TLC. Massage a dime-sized amount of V-6 , 2 drops Rosemary essential oil, and 2 drops Tea Tree essential oil into your scalp. Let sit for 10 minutes before rinsing. You’ll love the refreshing aroma, and your hair will love the attention. YL tip: Can you use Rosemary essential oil directly on the scalp? Yes! Show your locks some love by adding a few drops of Rosemary essential oil to your favorite hair care products. 8. Clean your heart out! Spritz away stinky odors and sticky counters with a Rosemary-infused DIY cleaner. 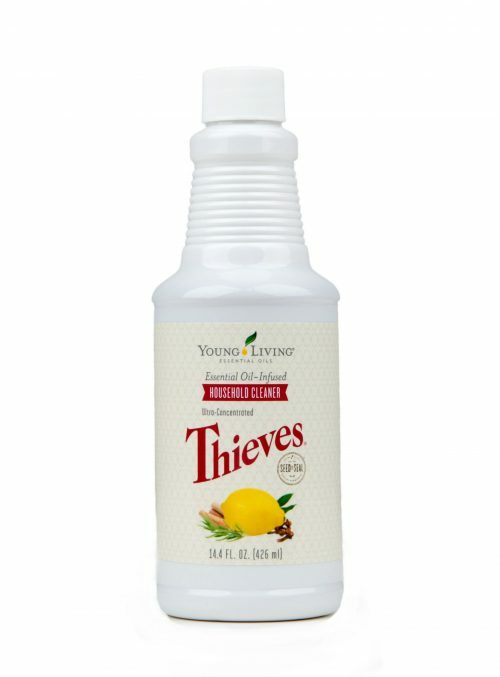 Combine 1 capful Thieves® Household Cleaner, 2 drops Rosemary, 2 drops Lemon, and 2 cups water in a glass spray bottle. 9. Get rolling on a great massage. Re-energize your day by indulging in a mini massage! Create a custom massage oil roll-on with an empty 15 ml bottle and an AromaGlide Roller Fitment. The roller makes it easy to apply to knees, lower back, and neck. Add Rosemary to Mirah Lustrous Hair Oil to smooth frizz, flyaways, and tangles while improving softness and shine. 11. Design a custom fragrance. Create a standout scent by adding Rosemary and Geranium to unscented hand lotion. 12. Add flavor to your favorite dishes. Use Rosemary Vitality to boost the savory flavor of mashed potatoes, egg dishes, meat marinades, and more. Lustrous locks can be part of your world with our easy DIY spray and serum. Dive into our mermaid hair tutorial for details. Spice up your road trips by adding a couple drops of En-R-Gee to your car vent diffuser. The combined aromas of oils like Rosemary, Clove, and Black Pepper make for one invigorating co-pilot. Struggling to see your way through an important project? Try diffusing a blend of essential oils that offers an energizing, refreshing, and grounding aroma. The combo of Rosemary, Citrus Fresh , and Cypress provides just that in the blend below! If woodsy scents are your love language, check out 10 ways to try Northern Lights Black Spruce. Speaking of woods, grab a bottle of Citronella before heading out on that hike. Its ability to naturally repel bugs is just one of the reasons it’s summer’s sidekick! Which of these uses for Rosemary are you most excited to try? Share with us in the comments! The post 15 reasons Rosemary essential oil should be your new obsession appeared first on Young Living Blog. My name is Sheril Brasher and I'm a full-time missionary serving the people of Tijuana, Mexico with YWAM San Diego/Baja. Most of the time fundraising is hard and not everyone feels comfortable "giving away" their hard earned money. So this is a way people can support a missionary on the field while also receiving a product in return. I see it as a win-win! My physical and financial needs are taken care of and you are receiving an amazing product with tons of health benefits through Young Living Essential Oils. For more information about how Young Living Essential Oils are made, check out the home office website. * These statements have not been evaluated by the Food and Drug Administration. These products are not intended to diagnose, treat, cure, or prevent any disease. Unless otherwise stated, pricing for oils are for 15ml bottles. Premium Starter Kits come with 5ml bottles of oils.